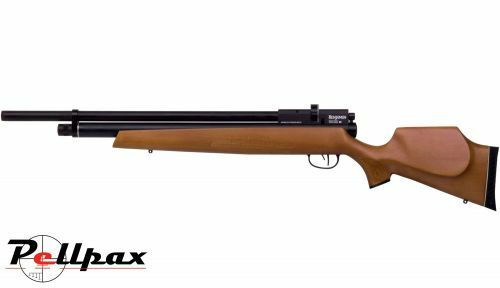 The latest addition to the ever growing range of Benjamin air rifles comes the Marauder PCP air rifle, with its deep blued finish and European style chequered stock. With the shrouded barrel offering high accuracy and a low dull thud when out in the field. The raised aluminium breech block is fitted with a 11mm dovetail rail so perfect for fitting your optic of choice, with the adjustable cheek piece and reversible bolt making the rifle extremely comfortable.